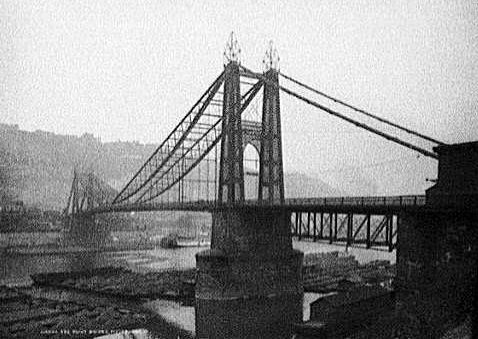 These original photographs were taken of Pittsburgh during the late 1800s and early 1900s. 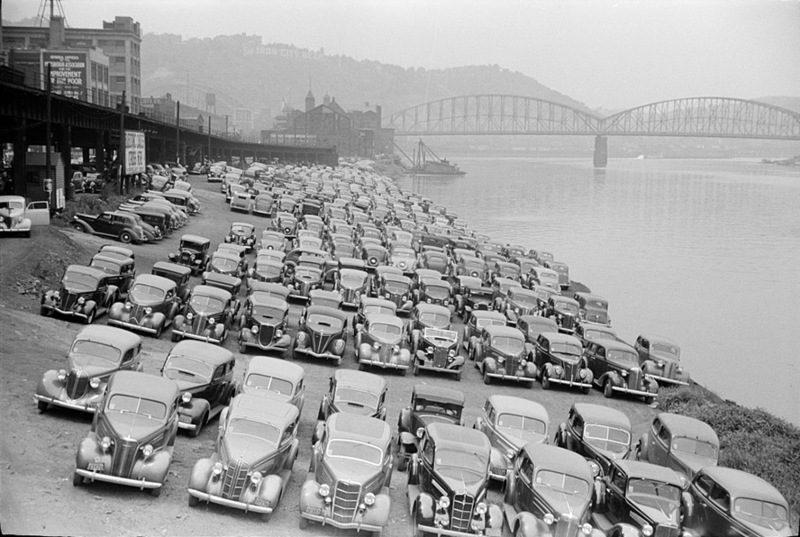 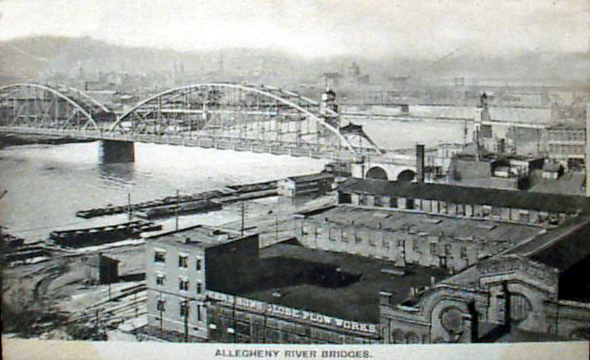 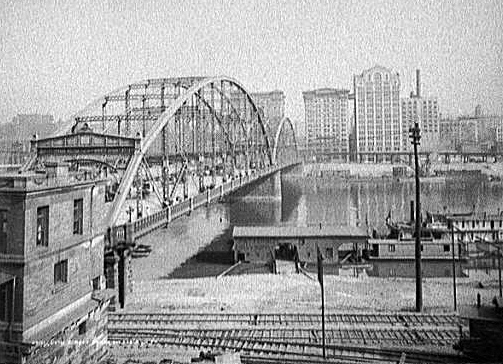 The photographs show not only views of Pittsburgh's Skyline but also show Pittsburgh Bridges during this period of time. 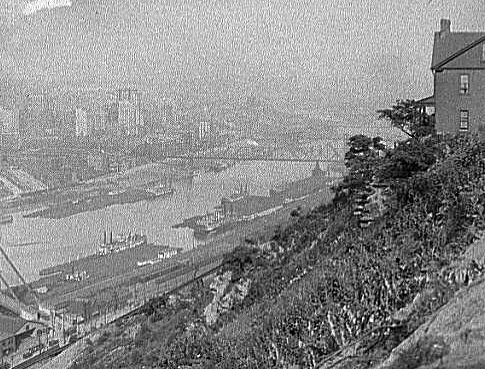 Some of these photographs are the originals of post cards which are on the Pittsburgh Views pages. 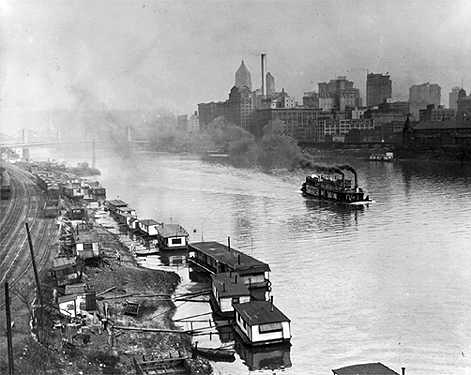 Many of these photographs are posted on the Library of Congress Web Page titled Photographs From the Detroit Publishing Company 1880-1920. 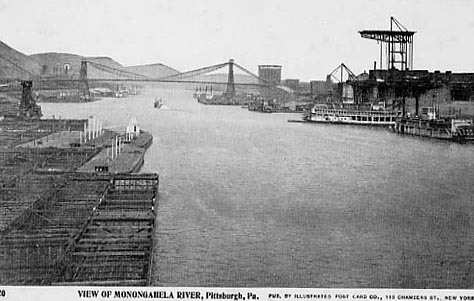 Once you are at this page use the Search Functions which will take you to pictures of Pittsburgh. 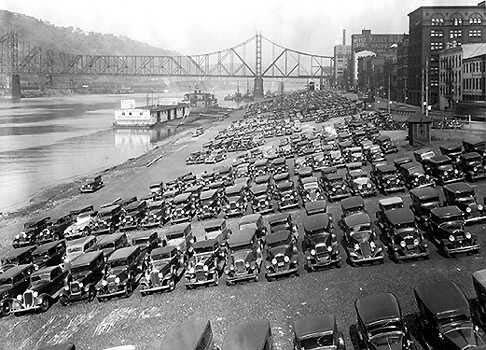 To view a larger image click on that particular image... for a brief description of the image place your cursor on that image. 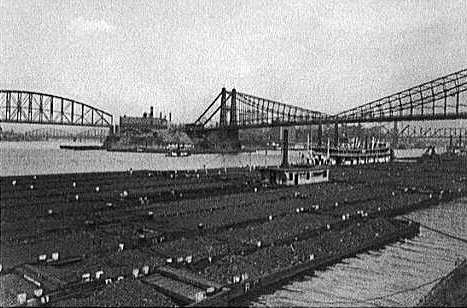 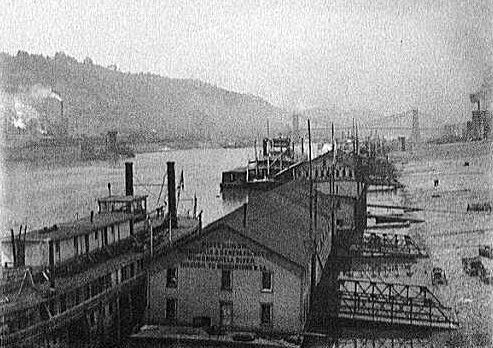 This photo of the Pittsburgh Wharf is dated 1890. 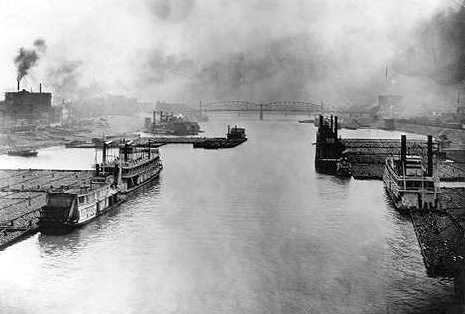 During periods of low water it was a practice to line up the boats until high water returned. 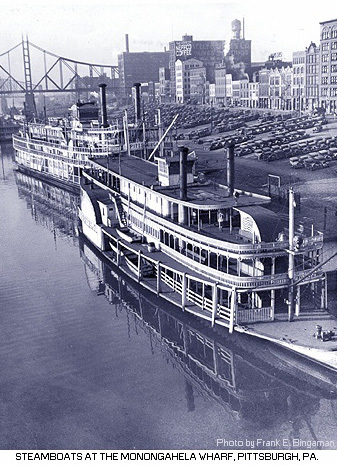 Many of these boats are identified in an article found in the S&D Reflector. 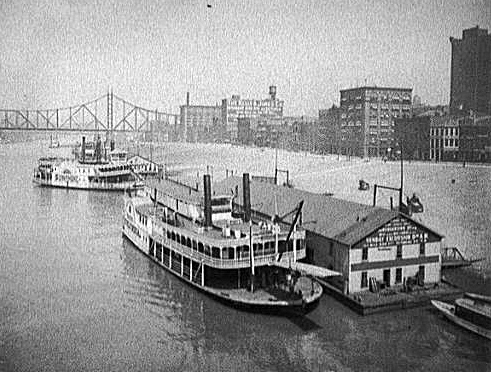 The identified boats include: Steamer VOYAGER on the far shore, Steamer TWILIGHT which is parallel to the shore on the left, going up the line are Steamers WM. 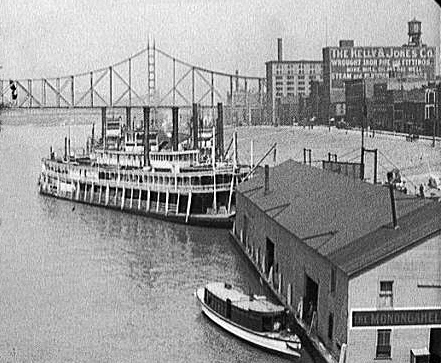 BONNER, JOS NIXON, BOB CONNELL, HORNET No2, JOSH COOK, ANNIE ROBERTS, and the large boat with two stacks with an emblem between them is the JOSEPH B. WILLIAMS. 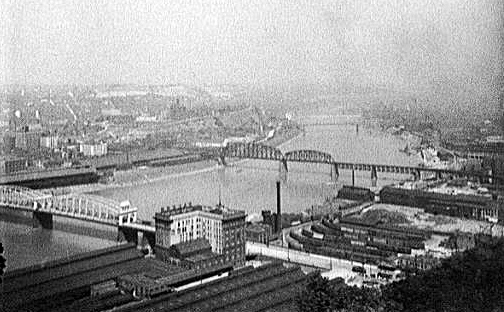 This picture shows the Station Square area of today as it appeared in 1905, including the P&LE Railroad Yard, Smithfield Street Bridge and the city skyline. 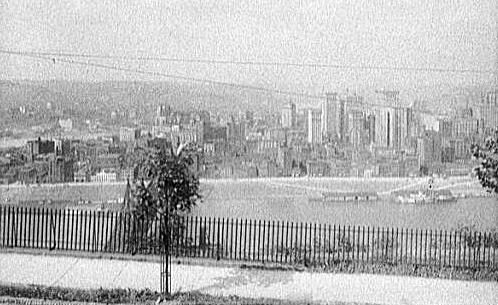 This panoramic view shows Pittsburgh as it looked during the early 1900s. 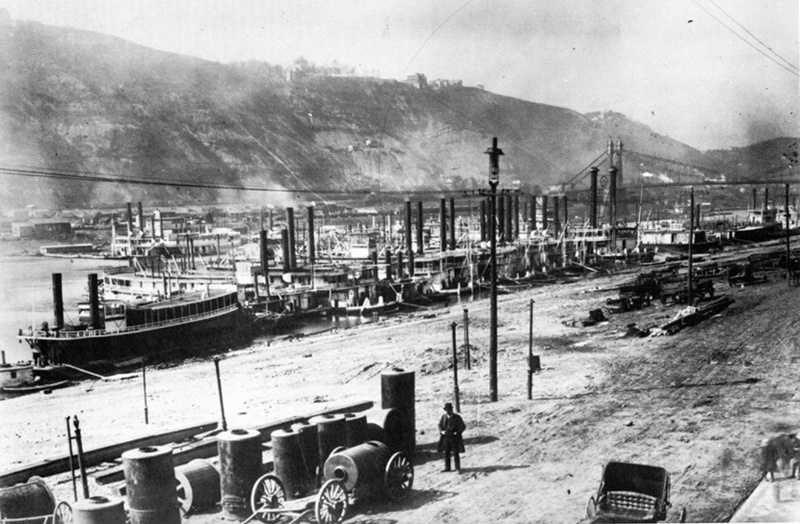 Of interest in this photo is the natural gas storage tank shown in the upper right corner. 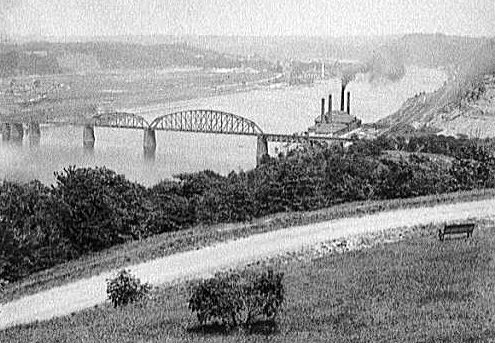 Read about the explosion of this tank on November 14, 1927 by clicking on the link below. 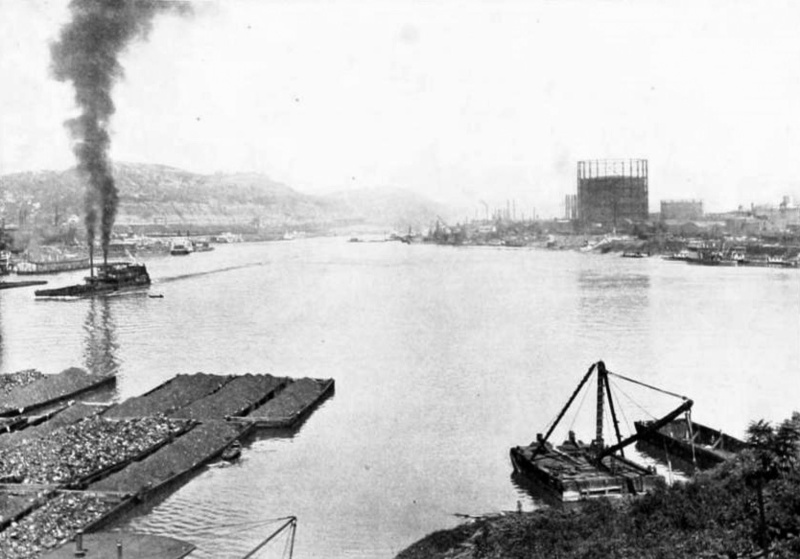 View a photo of the tank on that same newspaper page by scrolling to the top of that page.